Please find my product catalog in the category menu at left followed by samples and exhibits, a gallery of reference files, photos, and images. Go Big - ultimate vector art collections with optional books and CD media. 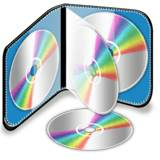 Get Down - fancy smaller vector clip art sets, .zip file downloads, no book or CD options. 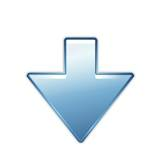 Git-R-Done - convenient single design .zip file downloads from vector art collections. OEM, School, Military, Service and Non-Profit special discounts. All customers get instant discounts on multiple items. And flexible payment options, accepting cards, paypal, check, mo, and po. Wow! All hand drawn by Gary DeWitt, aka SignTorch, the #1 pro for CNC vector clip art, it comes in 5 vector formats for compatibility with most all vector, CAD, CAM, CNC ware. Be sure to visit my Help Forum, ReadyToCut.com, for tons of Free Vector Graphics DXF Art, tutorials, and resources. And try the Free Samples. SignTorch sets the standard for low cost high quality cut ready vector artwork. It works for metal and vinyl and everything in between.